These artists’ work grows from the landscape, language, history and strange beauty of the north. 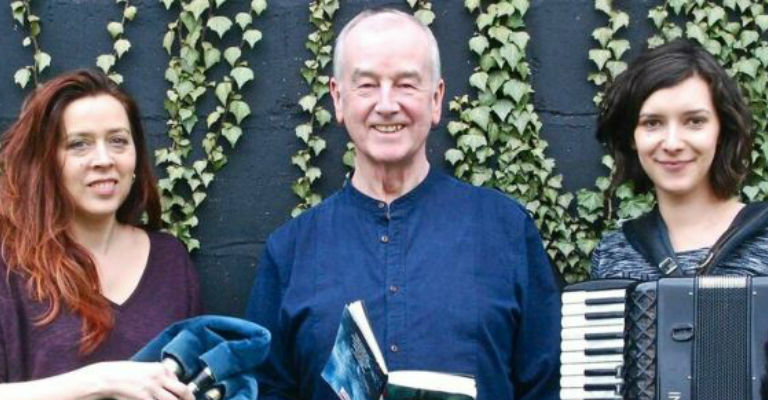 With the drive of David’s storytelling and Kathryn’s love of the traditions of her native Northumbria, the poetic power of language and music combine. On stage Kathryn and David are joined by accordionist and clog dancer Amy Thatcher to bring you a memorable evening of stories, songs and, of course, irrepressible music. If you enjoyed Kathryn’s Northumbrian Voices, this is an unmissable show for you.